In a food processor, combine all crumble ingredients and pulse until a coarse dough has formed. If the mixture seems very dry, add a little more milk (just a splash at a time so as not to make it too sticky) until a dough-like consistency is achieved. Set aside. In an oven proof dish, combine the frozen berries (or whatever fruit filling you have chosen to use), chopped ginger and maple syrup until they have mixed well. 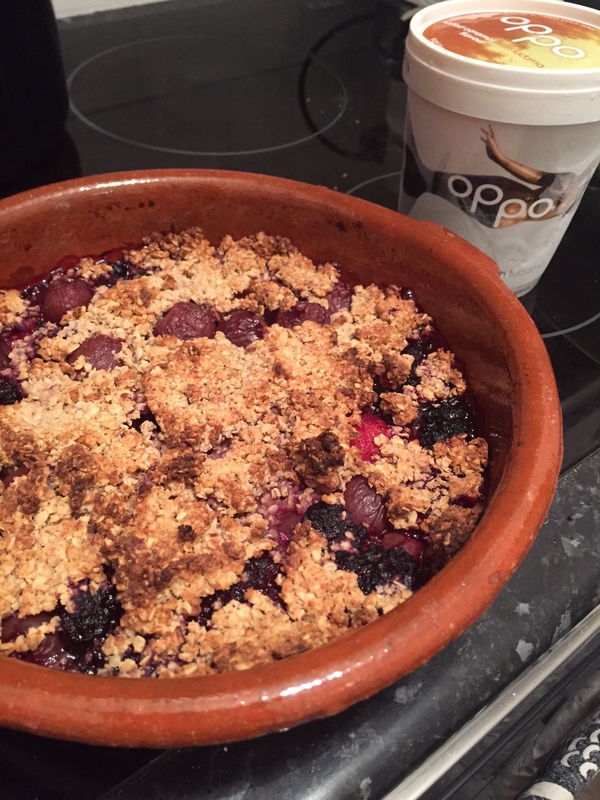 Spread the crumble topping over the berry mixture until it is evenly covered, and then bake in the oven for approximately 20 minutes, but check every 5 minutes to ensure topping isn’t burning – if so reduce the heat or cover with tin foil to prevent burning. 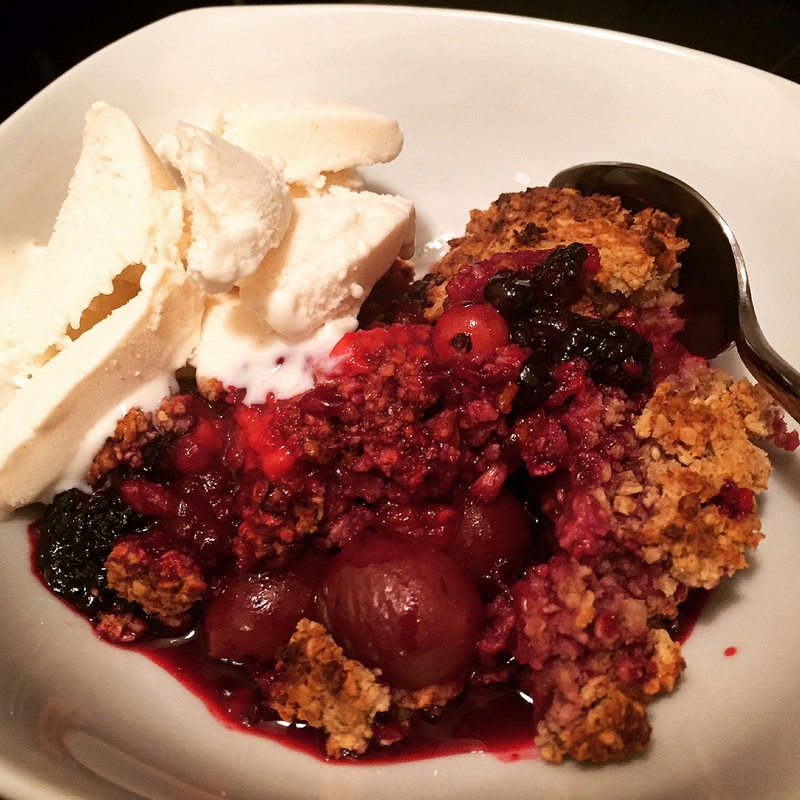 I served my crumble with Oppo ice cream which is made with coconut oil, stevia and fresh milk instead of sugar and cream, so you get the same delicious ice cream taste without the high calories, not to mention the superfood boost in each flavour – the salted caramel has added lucuma which is full of antioxidants and great for your skin!